A diamond is close to a woman’s heart and is highly special for witnessing unconditional love. Fist love actually!! But when it's about that special day, the sparkly affair of diamond is imperative. Yes, it keeps a memory and makes your memories go prettier by time. But aren’t you bored following the monotony of diamond? 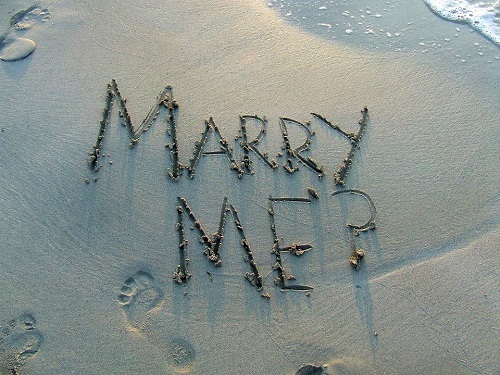 Yes, it is has become a ritual to propose with a diamond more than a trend. So, why don’t you mark your love with other strikingly amazing alternative of diamond rings? There are GEMSTONE rings that serve the purpose like a boss. Emerald has a sharp, luxe and precious appearance that makes it a perfect catch for diamond. They have always been in style considering their beauty and rich spell so created. When mounted on a ring, emeralds are just a dream to witness. With a rich green colour, an emerald engagement ring depicts luxury to its very core. 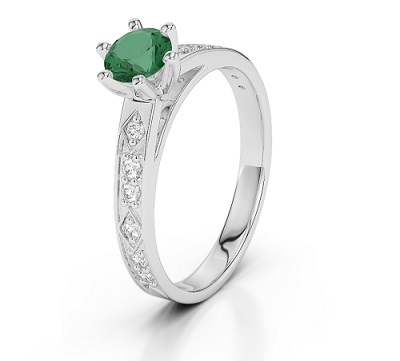 So, for engagement rings you can choose a timeless and chic piece of emerald stone that judges your elegance. This blue gemstone has masses to drool over. Sapphire rings have an appeal to catch the attention and being a gemstone with such an antique presence, this stone has a mass popularity. If you have eyes on this stone to mount on your engagement ring, here you go. It is a much popular alternative for diamond engagement rings and elevates your style and grandeur to next level. So, boy, what are you waiting? A blue sapphire engagement ring could be your best bet. It is one of the beautiful but rarely found gemstone that was discovered in the sixties. This stone is thousand times rarer than diamonds and boasts of quite a presence when it shines on your ring finger. It is another brilliant but sparkling choice for an engagement ring. This stone is quite a beauty due to its bluefish purplish colour. So, make your girl go breathtaking with a tanzanite engagement ring because love speaks a precious value and this could be a fine choice. If you only knew Rubies, Emeralds and Sapphire it's time to go beyond. Peridot is other precious and rare gemstones that shine in a beautiful olive green colour. Many times they are mistaken with emeralds but they have a shine more amazing than emeralds. They symbolise a token of love with a story in hand. As said, Napoleon gifted his fist wife Josephine one of this and it admires his eternal love. It makes this stone a more of romantic piece to gift your love and if you are thinking to keep it for your engagement ring, you are making the right choice. Last and the gorgeous affair- AMETHYST!! 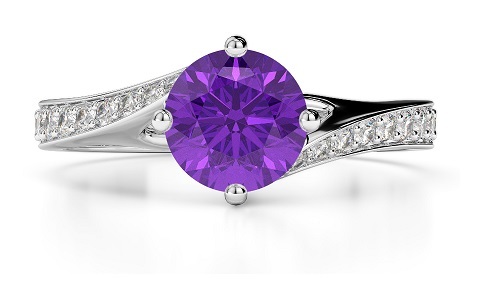 This pretty purple stone is a gorgeously striking gemstone. A fine cut and polish can make this stone an inspiration for beauty. This gemstone is quite a durable bet. 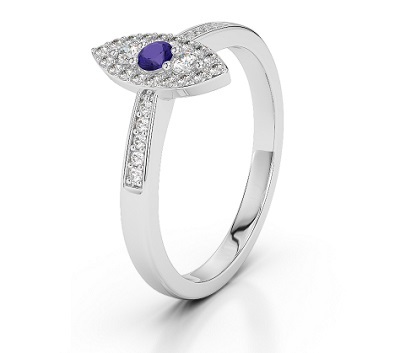 A lavender hue of this gemstone is set with silver lining or for that matter with gold; the final result just goes remarkable. So, you have your choice of colours to go for a quirkier appeal for your engagement ring. Now, you have the most enchanted gemstone engagement rings in place, you can give those diamond rings some rest and mark your love for life with a gemstone baby? What say, folks?